So before we jump into the weekend, I would like to share with you an old favourite of mine. It is a spinach based dish that can work as side dish to a main of meat of fish or tofu, or as a starter, minding the portions of course. 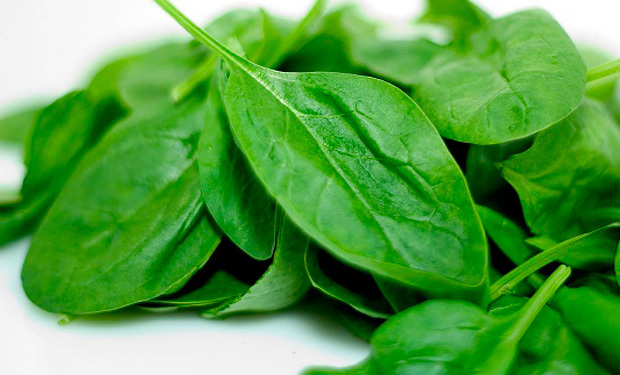 Spinach is one of those super foods that deserves the name and lives up to it, anyone born in the 70s and 80s will remember how Popeye convinced us all that spinaches would make us big and strong and you know what? he was right! This green leaf has plenty of desirable effects in our body, it is low in carbs and fat like all the vegetables, but also it is very high in protein, nearly 3 gr per 100 gr of product, and also very high in fibre. This means that we fill fuller for the right reasons, and it helps the intestinal transit. Over and above this, there is the high contents of iron, Vitamin A, C, K and some of the group B and high contents of magnesium, calcium and potassium, all these, key to strong bones, and to avoid water retention. The downside is that is not very good for people with kidney stones since there is a component in them that could worsen this condition, but if you are in tip top condition, jump ahead. Some people don’t like spinach because they consider them bland and can only enjoy them when they come as a side of creamed spinach, which is a shame because all that cream and cheese kind of take away the benefit of it. 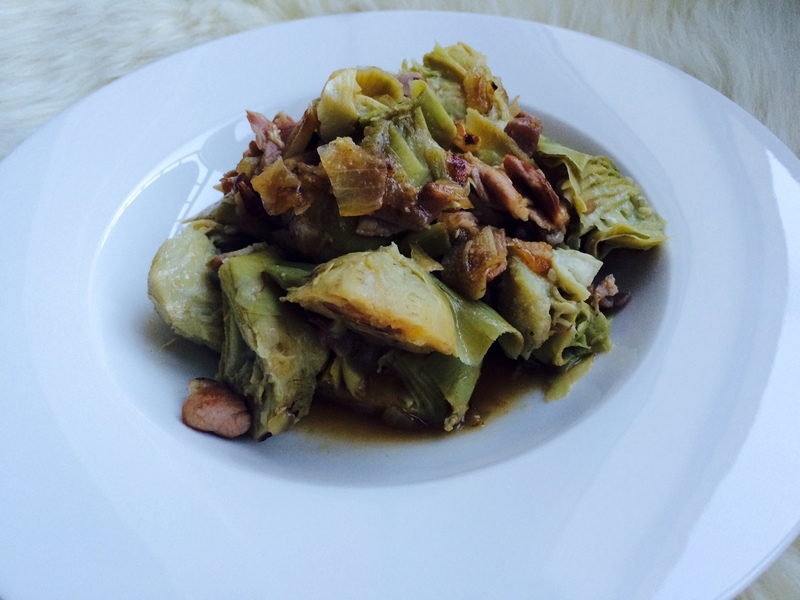 My version of this dish is much lower in fat and much higher in protein since I add cooked ham to it, making it more of a starter or even as a light dinner option. Excuse the fast taken pics, but I hope they look yummy enough to make you want to try it. 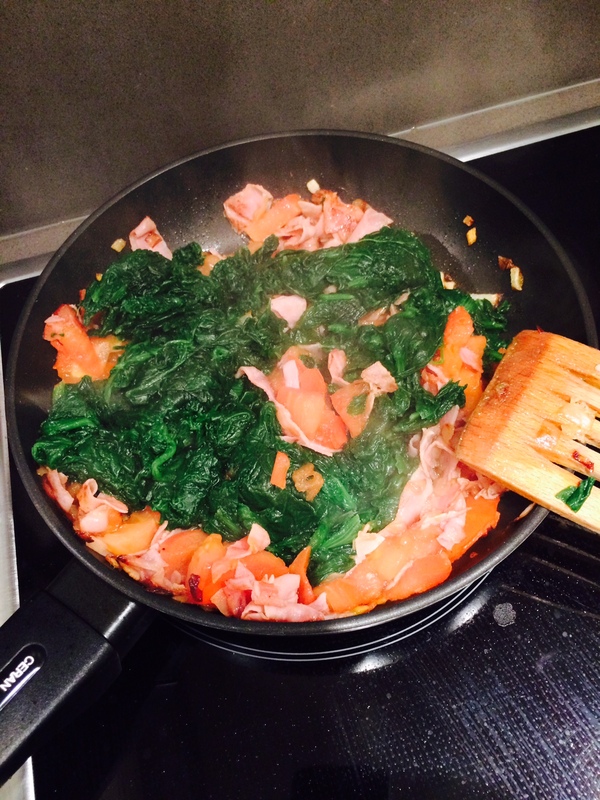 In a cooking pot, cook the frozen spinach for about 5 minutes or until the frozen blocks are totally undone. Then rinse and let in a strainer to loose the water. 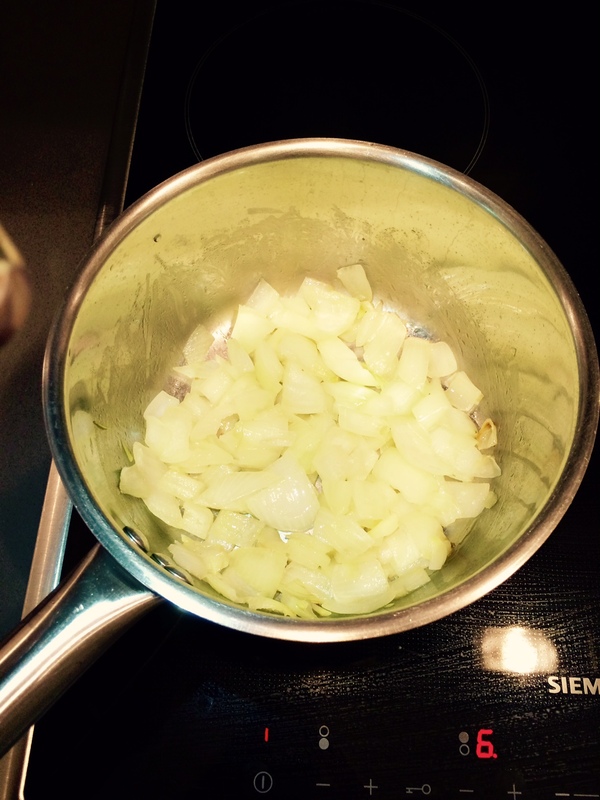 Then chop the onion really finely and the garlic clove and sauté them in a pan on medium heat. Cut the ham in little pieces. My trick is to make rolls and then cut it with the scissors. Then chop the tomato in small cubes. 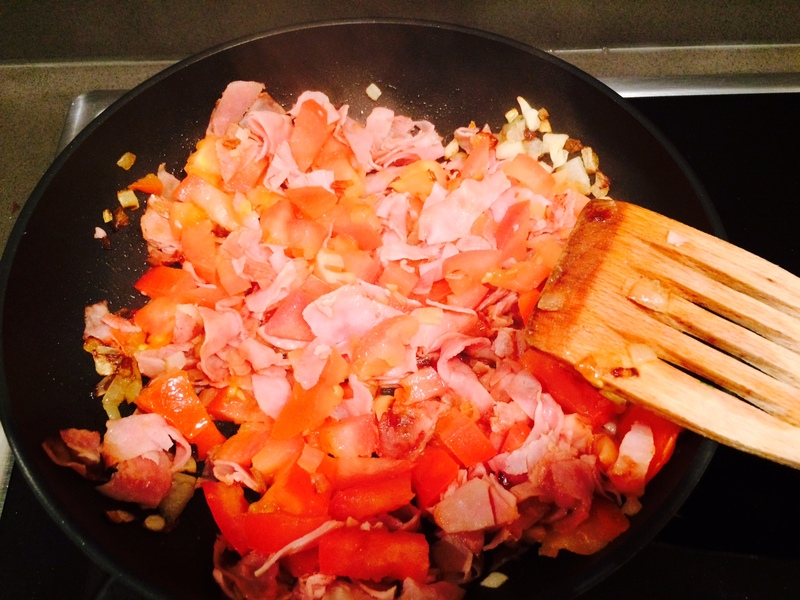 Put the heat up and when the pan is hotter add the ham, ideally, it needs to be a bit toasted outside, then add the tomato cubes and salt. Let simmer in low heat fro 5 minutes, then sprinkle the cheese and let it melt on top for a couple of minutes. Serve immediately. Today I have a super quick fix for when you don’t really have many fresh ingredients at hand and you want to prepare a healthy dinner or lunch for the next day. I have used bacon for this recipe because I had a couple of rashers leftover in the fridge, but normally I would use ham. 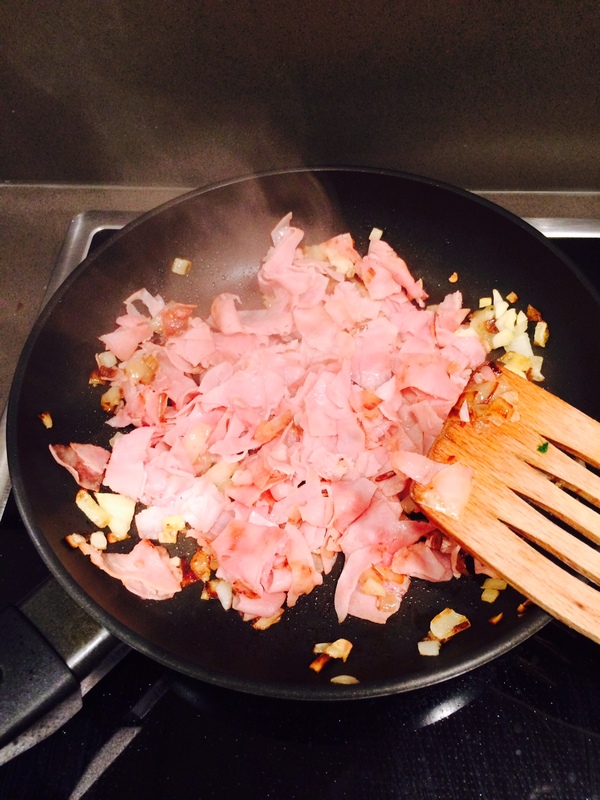 Spanish ham would work better than Parma since it has a stronger flavour that would mix great with the artichokes. 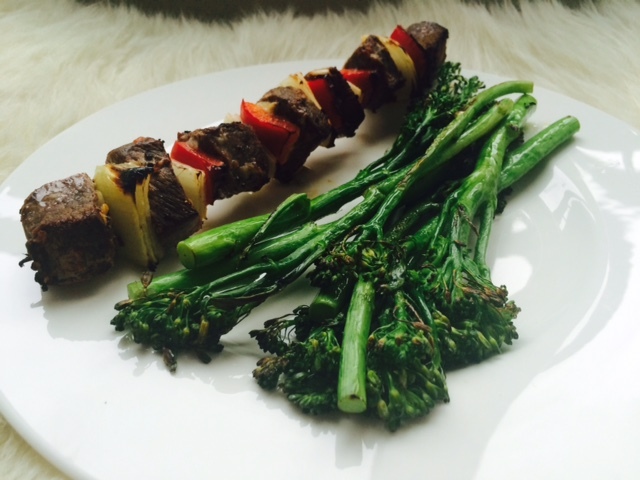 This recipe is really high in fibre and very low in calories, great as a light dinner, although it would need some additional protein. 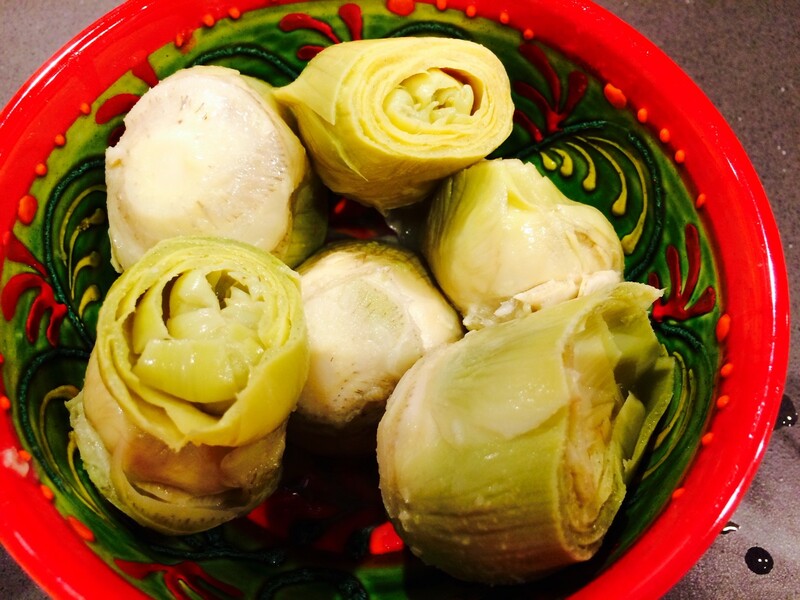 Remove the water from the tin and place the artichokes in a bowl to drain. Cut them in halves. In a saucepan, heat up the olive oil and sweat the onion, chopped finely and the garlic, adding it just a bit after the onion (since it cooks faster, otherwise it would burn) when the onion is transparent, add the bacon or the ham, cut in small stripes and let it toast slightly, then add the artichoke hearts and let simmer for 5 minutes so all the flavours mix. 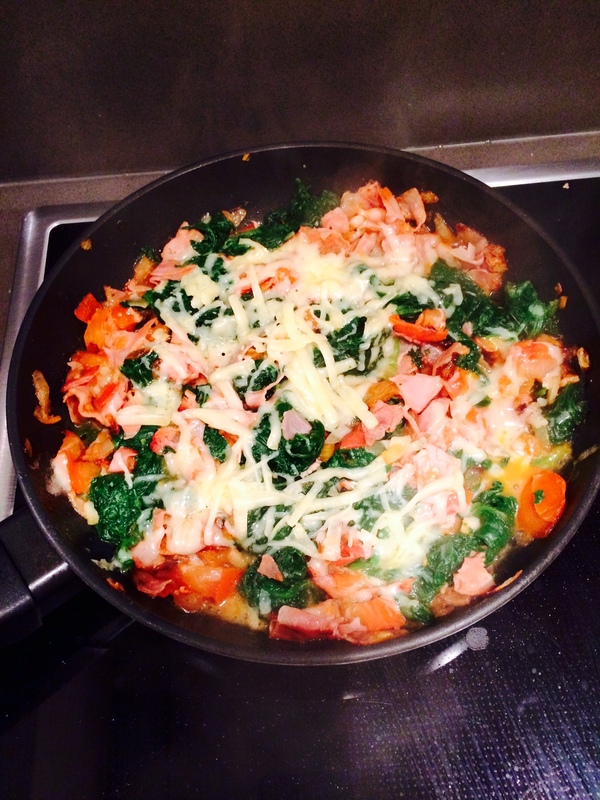 I found a recipe very similar to this one in a diet friendly collection of recipes recommended by a well-known personal trainer and dietician called Louise Parker. She has a pretty good method that reduces the carbs to a minimum and emphasizes the importance of an active lifestyle, and eating what she calls “beautifully” basically always enjoying what you are eating. If you are not enjoying it, and it is so delicious, why waste your calorie intake with it. Pretty sound logic to me! 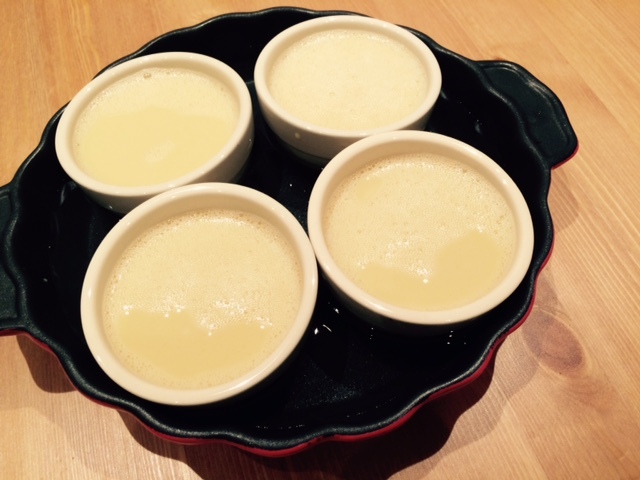 Anyhow, I tried one of her recipes and I made my own version of it, that I would like to share here. 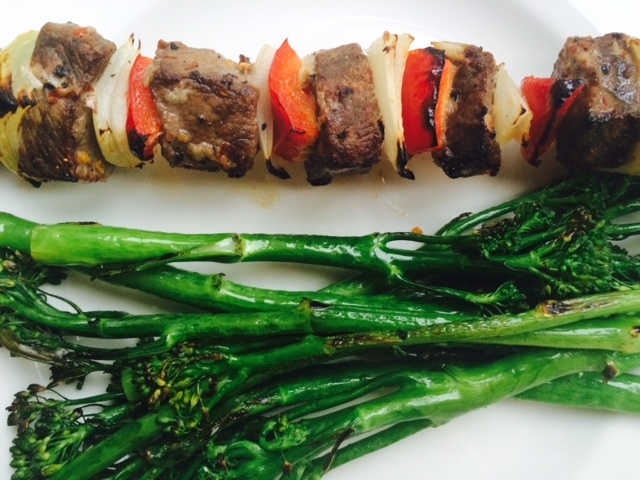 This recipe is very low in carbs, high in protein and low in fat, and makes a perfect dinner for one, two or even a party, since it can be prepared in advance and cooks relatively quickly. 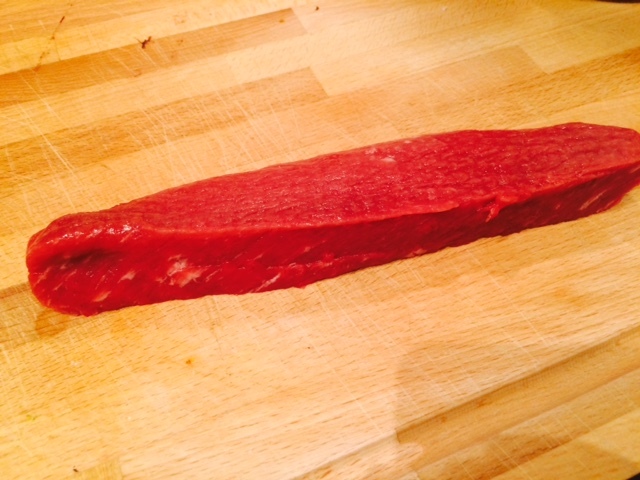 Cut the meat alongside two create two long and narrow pieces and then cut into 1 inch cubes. 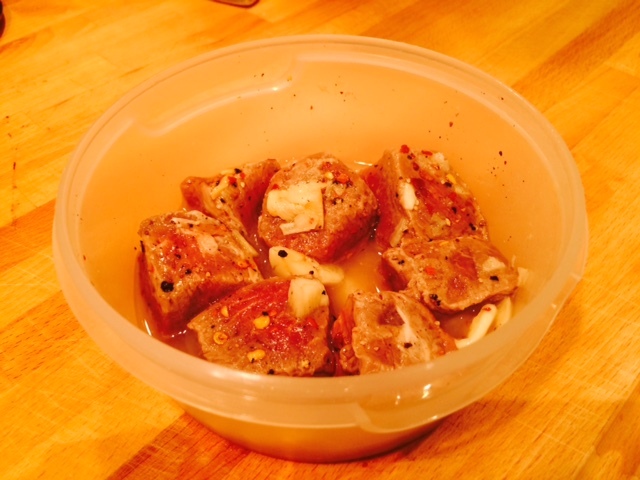 Prepare the marinade with the juice of one lemon, 2 crushed garlic cloves and all the spices and mix with the meat. I suggest you store it in a tight closed box because it smells really strong of garlic. It is best if left overnight, but if you don’t have time, at least needs to sit there for an hour. 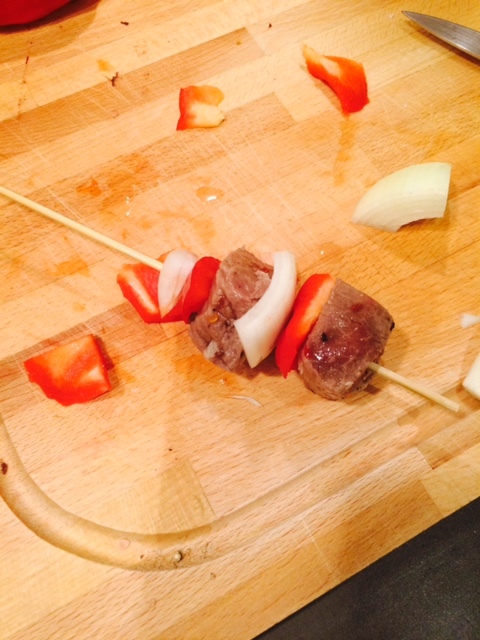 Chop the onion and the capsicum in large quarters and build the skewers alternating meat, onion and pepper. Set in a tray, over cooking foil sprayed with olive oil and put in a preheated over (180C) for 8 minutes, then turn on the grill and grill for 2 minutes on each side until golden/charred according to your preference. (remember that the grill only works when the tray is around 10 cm from it, so don’t put the tray very far down the oven. 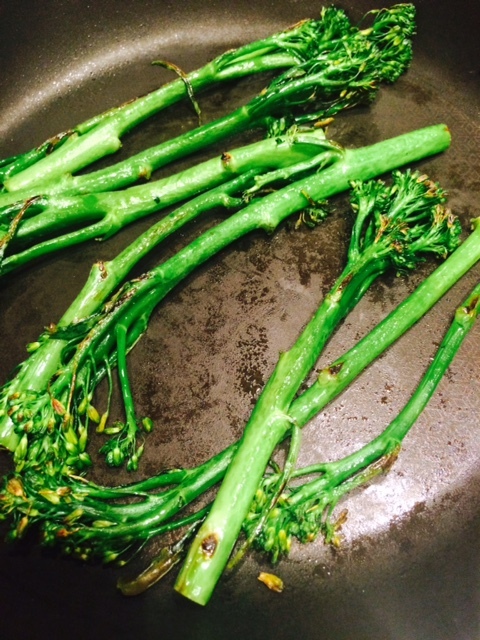 I served it with broccoli tender stems lightly pan roasted and Goma dressing. The Goma dressing is a Japanese sesame dressing with a nutty toasted flavour that goes fantastic with broccoli. You can find it in Japanese food shops. Like everybody else, every time I listen to the word gratin, my mouth waters, and then my brain sends me a clear message, stay away, it will take hours on a treadmill to burn off all that fat… This might be true when eating out and it is still a not so healthy option, but when eating in, nothing stops you from enjoying a gratin once in a while. 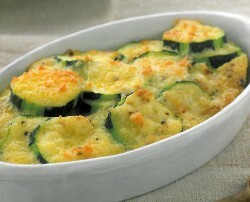 I have chosen zucchini for this recipe because it is an easy and fast cooking veggie that is very low in carbs and cals and goes really well with dairy produce. 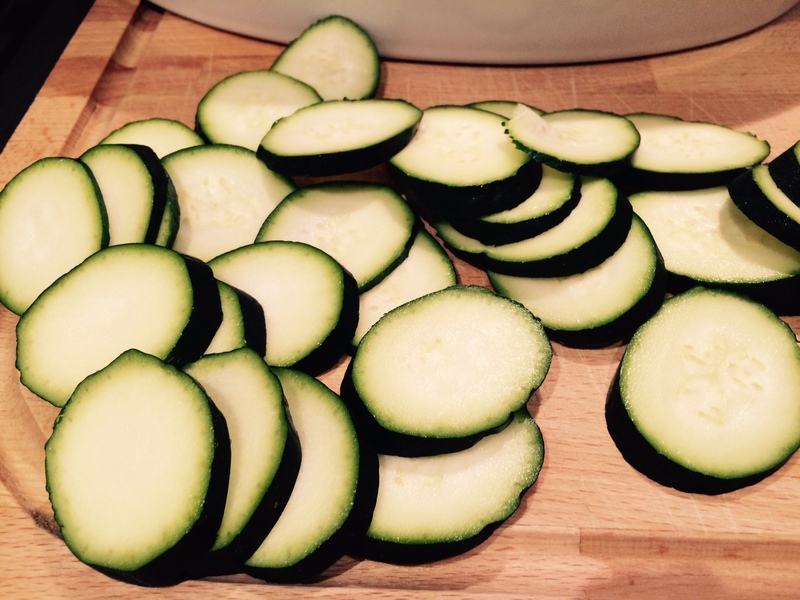 Wash the zucchini and cut it into really thin roundels. The thinner the better, discard the two ends of it and set the roundels in an oven proof tray forming a layer of slices. Sprinkle with salt and pepper. Mix the milk and the cream in a bowl and pour over the zucchini, cover with the cheese evenly making sure the cheeses are mixed. Bake for 15 minutes then turn on the grill and bake for 5 more minutes until the cheese is toasted and looks like a gratin. It will depend on your oven and the distance between the tray and the grill, so keep an eye on it as it can burn really quick! 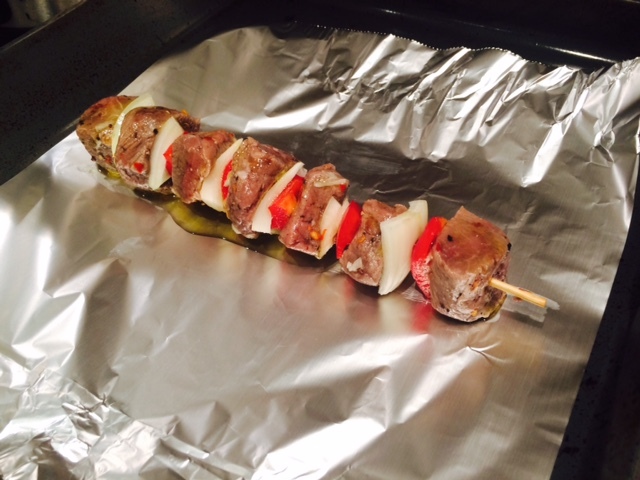 You can also use this dish as a side dish for a lean protein source such as chicken or grilled fish. 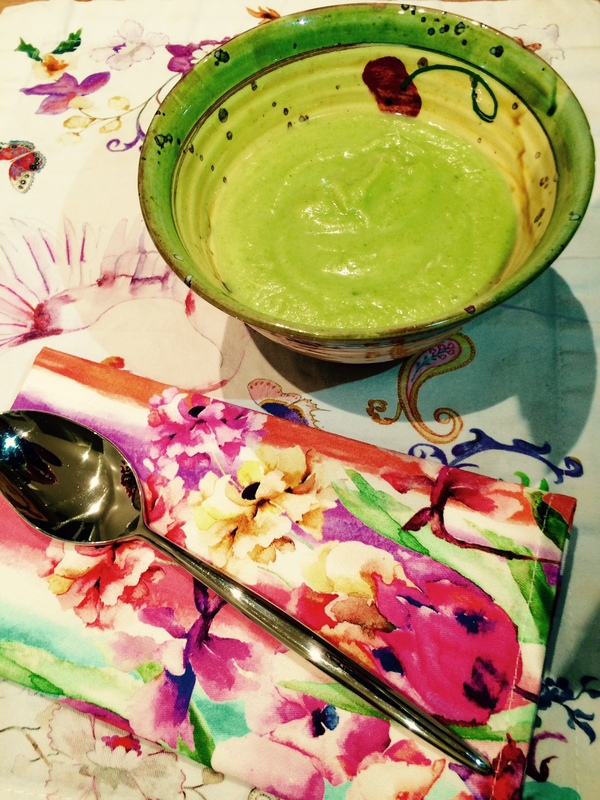 So as part of my broccoli recipe series, here you have a very easy and healthy soup. Super easy to make and very quick. It is pretty similar to the zucchini soup I posted a while ago, but then again, this is the base for most vegetable soups. 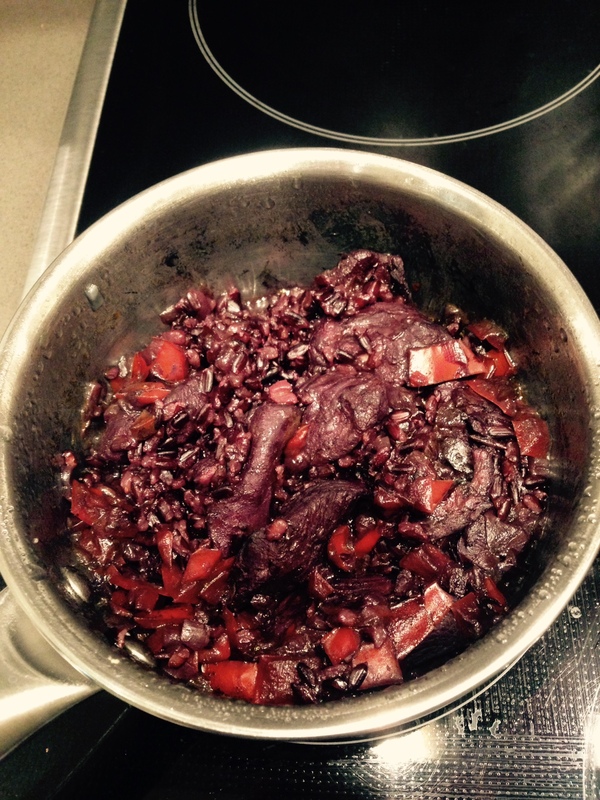 The base of I cook the is to avoid starchy vegetables to give it texture and instead, I use onions. In order to minimise the fat in it, I use a tiny bit of olive oil and I cook it at a very low heat and moving it continuously, so it doesn’t burn. If you find this difficult, you can always add a bit of water to the onion at the beginning and once it was evaporated, carry on with the recipe as it is explained here. 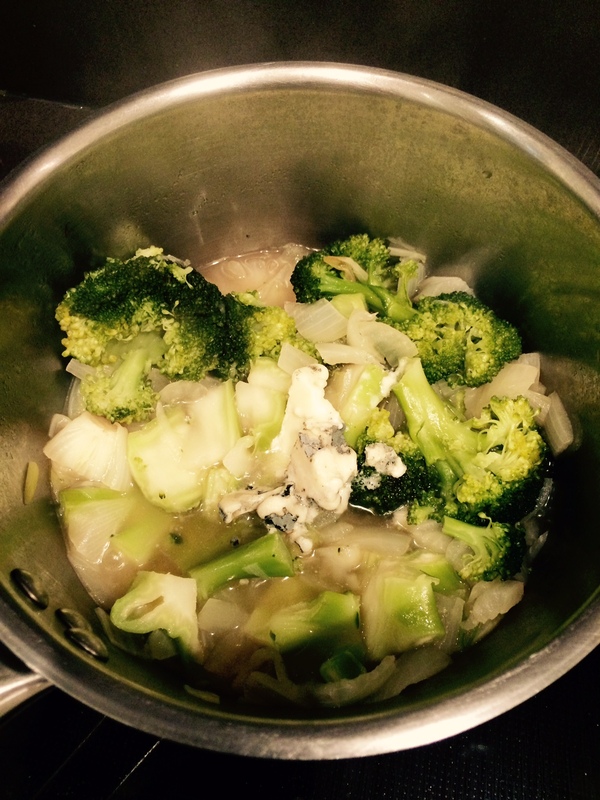 This is a very traditional British soup and due to the high amount of fibre in broccoli, is also very filling. For this very reason, you might need to add more water to the mixture for it to blend nicely to the right texture. 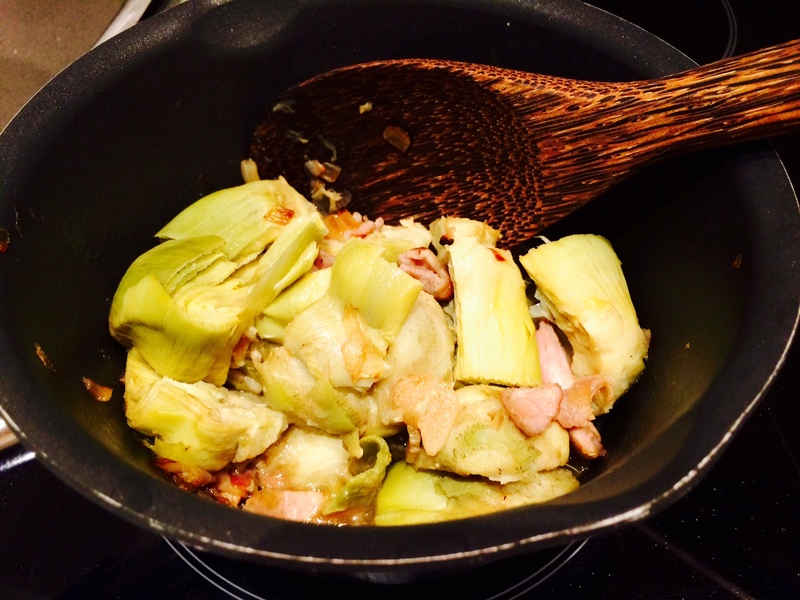 In a medium cooking pot, heat up 1/2 tbsp. of olive oil. 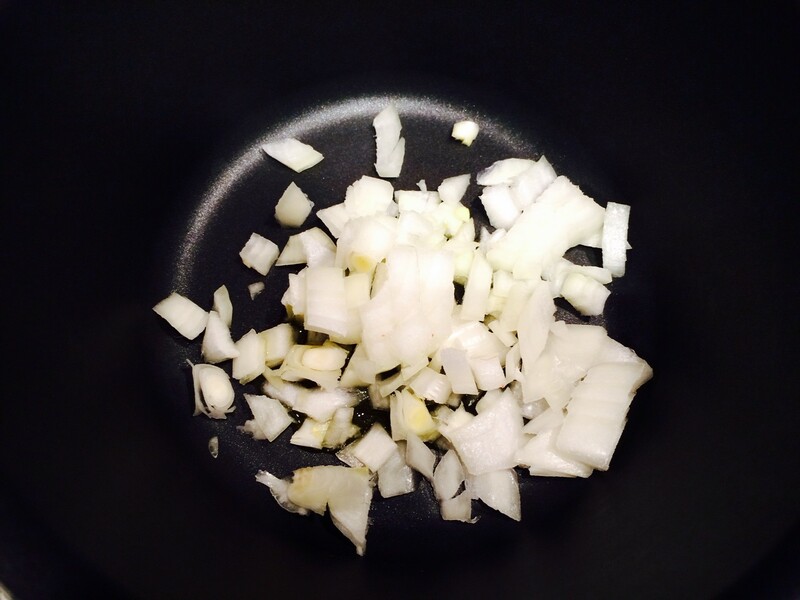 Chop the onion in large pieces and cook in the oil until transparent. 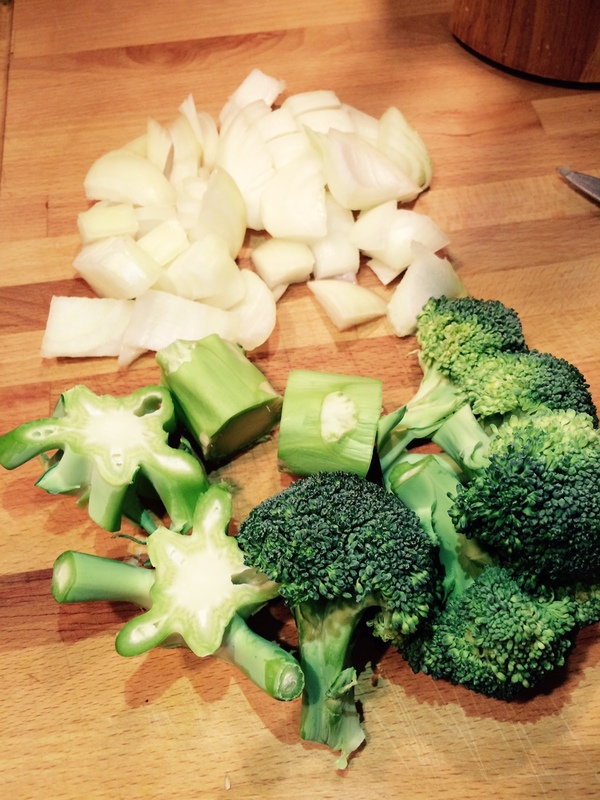 Wash and cut the broccoli and add it to the onion, Stir, add the beef stock cube and then 1 and half cups of water. 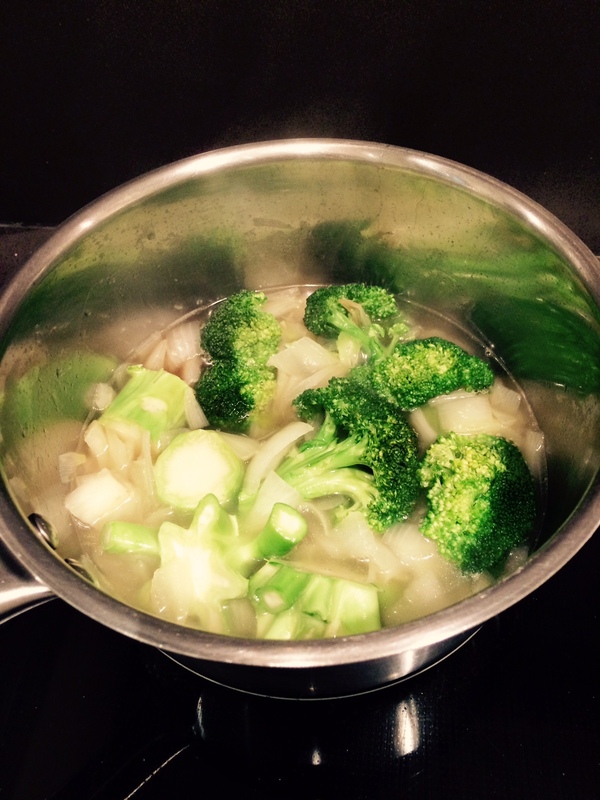 Let simmer for 15 to 20 minutes or until the broccoli is cooked. Add the stilton cheese and blend until smooth with the hand blender. Test the flavour and add more cheese or salt if required. Soooo easy and so healthy! 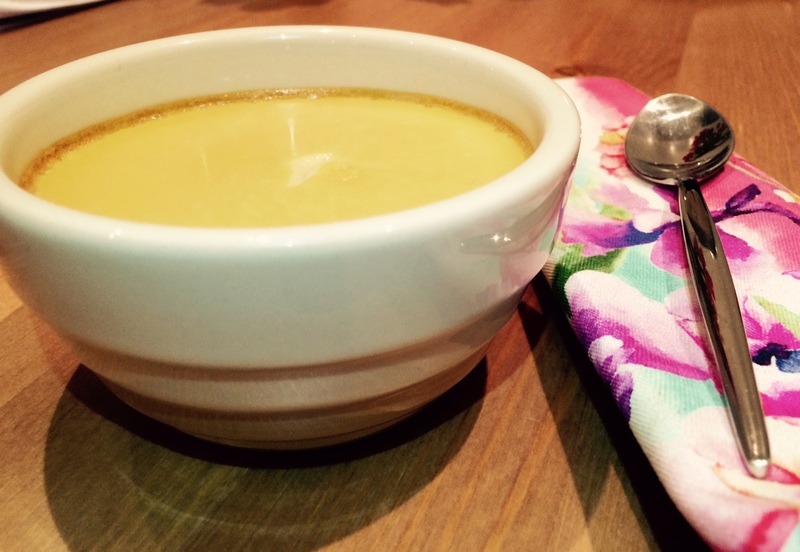 Low fat, low GI, high fibre and full of goodness! Paella, one of the most easy yet complex dishes to master. Every home has it’s ingredient mix and particularities that make it that little bit special and just better than everyone else’s! In the context of a low fat, low carb diet, a paella is simply an impossibility. By definition, made with round grain white rice, which behaves like pure sugar in your system, and the high amount of olive oil used to make it sweet and soft is the anti diet dish. However, as with everything, there are ways around it to achieve, with very little compromise, a low GI, low fat, high protein dish that you can enjoy whenever you want. 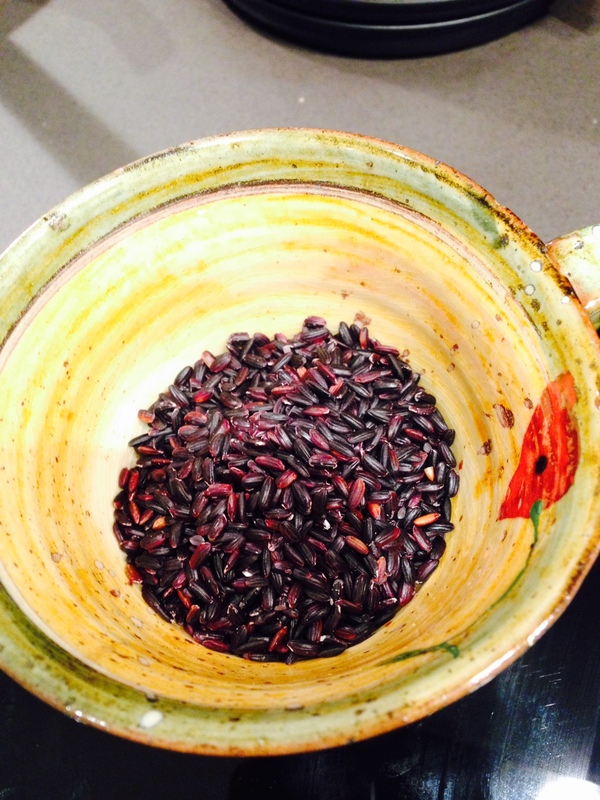 I have substituted the traditional white rice with the black rice alternative I mentioned some time ago, and I have reduced the amount of olive oil to the bare minimum. 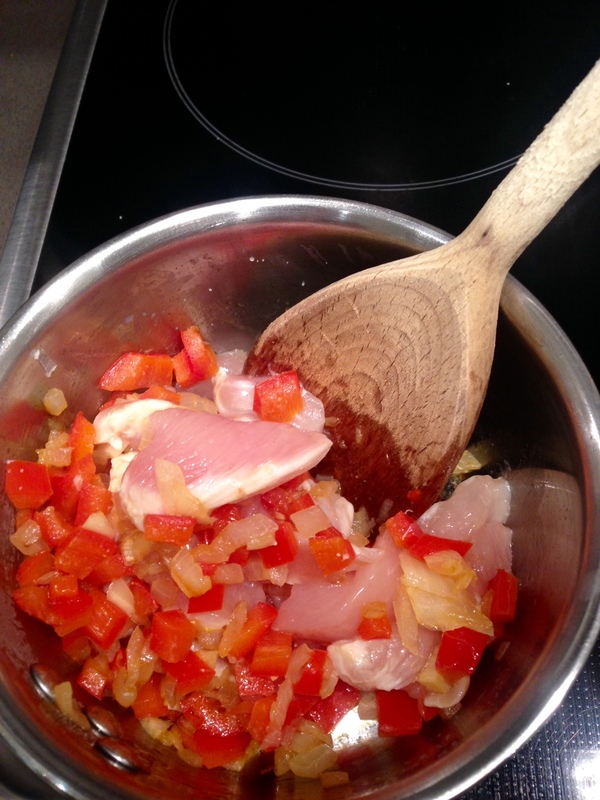 In a small cooking pot, heat up the olive oil and add the onion and the pepper at the same time. Let them cook for 3 to 5 minutes until they have started to soften. Salt the chicken and add it in, let cook for a couple of minutes. Add the dry rice and mix well for another minute. Then add the same volume of water as the rice occupied in its container. Add the stock cube, let simmer for 25 minutes without moving it any more. 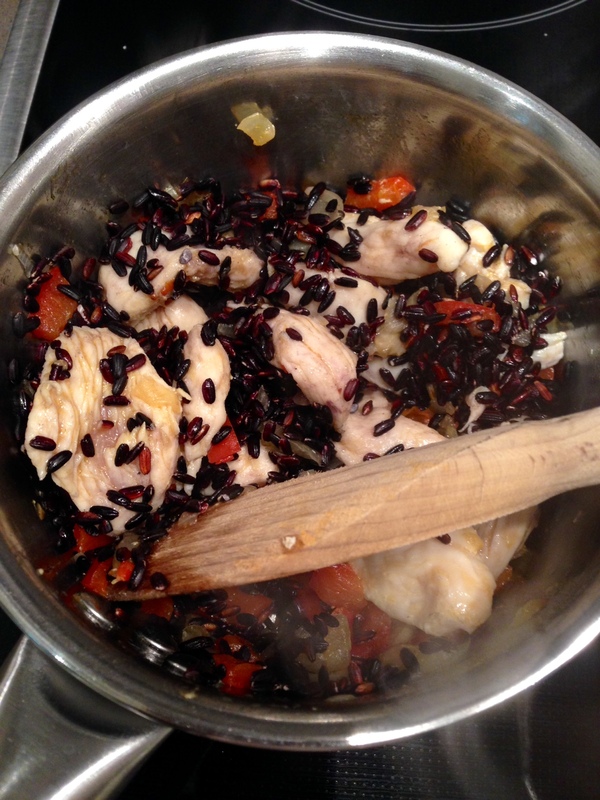 I like my rice a bit al dente, once cooked, check if it’s cooked to your taste and if not, add 5 more minutes. You might need to add some more water as well. The water you add should last the full cooking time, it not, you might be cooking at too high heat, that will affect the outcome so lower heat and soft simmering is better. So it’s been a while since I treated myself to something sweet and every now and then we have to remember that a healthy diet not only can but should keep us fed and happy. This is one of those delicious, super easy super healthy desserts to have on a week day without cheating, or feeling that we have stepped out of our limits. It’s is carb free, super low fat high in protein so perfect to add a little extra to your meal. 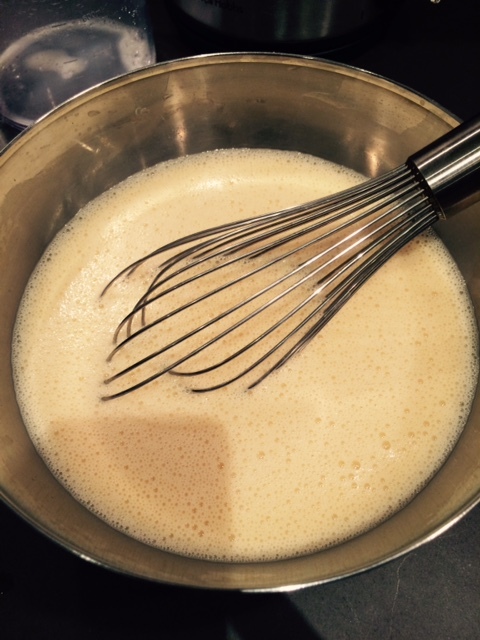 In a bowl, whisk the eggs with the vanilla, caramel and sweeter until smooth. Add the milk, taste and correct the sweetness to the desired level. Pre heat the over for 5 to 10 minutes to 180C. Fill large over proof container (like a baking tray for example) one third with warm water and put 4 ramekin dishes inside (these will also be the serving dishes) the level of water should come up to 2/3 now, if it’s too high, it could spill and burn you when you take it out of the oven. 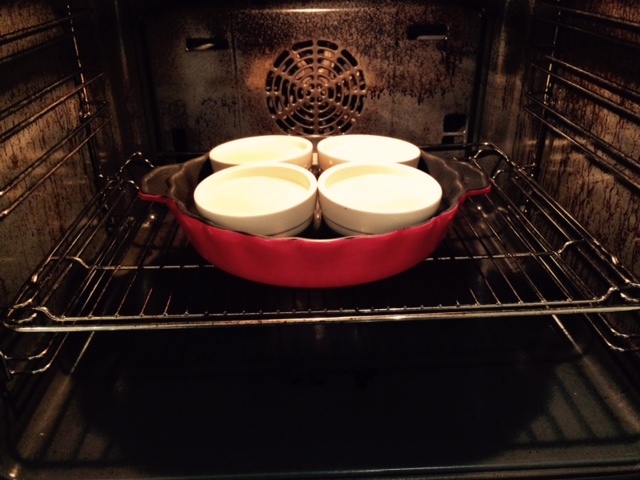 Pour the mixture into the ramekins and put the tray in the over. Let cook for about 15 minutes until it sets. You can serve it cold or warm and you can keep them in the fridge for a few days.